Situated in the beautiful neighbourhood of Eixample on Passeig de Gràcia, one of the most famous streets in Catalunya featuring Gaudí´s Casa Milà, this 2 bedroom apartment in Barcelona is a great choice if you enjoy luxury. The street is home to lots of designer stores and boasts plenty of places to eat out or have a drink. The living room offers comfortable furniture and a satellite TV with DVD player, perfect for relaxing. Internet is also available, making it easy to work, study or stay in touch with friends or family. The fully-equipped kitchen has all the utensils and appliances needed to create your home-cooked meals. It even has a dishwasher and coffee machine. The apartment has two bedrooms, one with a double bed and the other with two single beds, accommodating up to four people in total. There are 2 bathrooms, giving you as much privacy as possible. 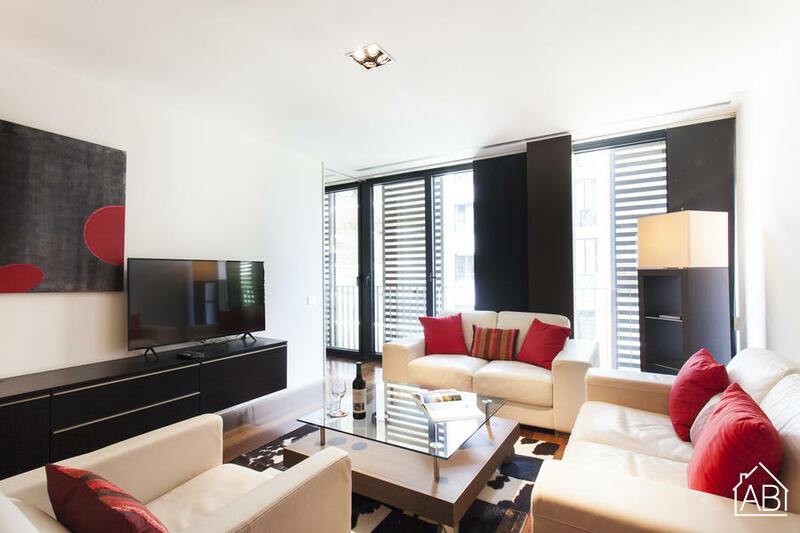 This chic apartment comes with air-conditioning, parking and an elevator, making it a great choice for a comfortable stay in the Catalan capital any time of the year!